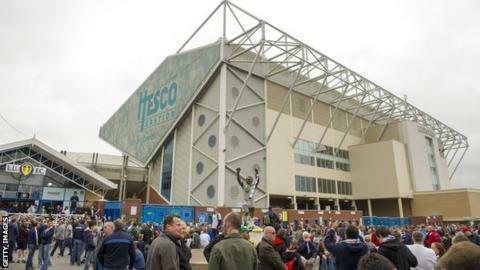 Cardiff City have backed their supporters' decision to boycott this Saturday's match at Leeds United. Bluebirds fans are unhappy at Leeds offering 500 away tickets for the Championship game at Elland Road. After consulting with supporter and travel groups, Cardiff have now opted to return all 500 tickets. "We have no option but to return the low number of unrestricted tickets on offer out of respect for our supporters," said Cardiff CEO Ken Choo. Speaking to the club website, Choo added: "It's extremely disappointing to have reached this conclusion. "Our preference was for Cardiff City fans to be granted the same respect and freedom of travel as provided to over 2,000 Leeds supporters for the corresponding fixture this season. We are frustrated that this could not be permitted." Cardiff say that a request was put to Leeds to screen the match live at Cardiff City Stadium, but this was turned down. Elland Road has a capacity of almost 38,000, although Leeds average about 24,000 for home games in the Championship this season. Cardiff are currently 13th in the table with Leeds level on points in 14th.